The 2018-19 U.S. National Sled Hockey Team was in London, Ontario, for the 2018 Para Hockey Cup from Dec. 3-8, its season-opening tournament of the 2018-19 season. Scroll through the tabs for daily updates on Team USA's journey to its fifth-straight championship in the event. 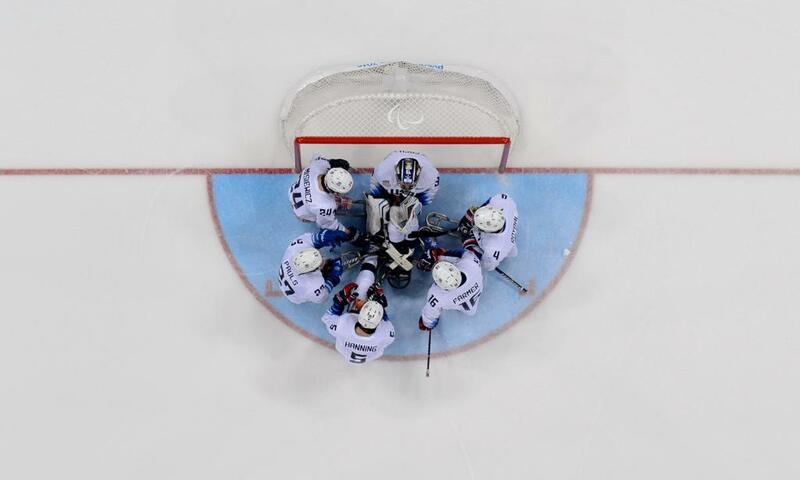 After last night's thrilling 5-4 victory over host Canada, the U.S. finally says goodbye to London, Ontario. Yesterday, Jack Wallace (Franklin Lakes, N.J.) scored twice, including the championship-clinching goal with 7:29 to play in regulation, to lead the 2018-19 U.S. National Sled Hockey Team to a 5-4 victory over Canada in the championship game of the 2018 Para Hockey Cup.